One of the first small appliances that we actually really had to get was a toaster oven/broiler for the counter top. 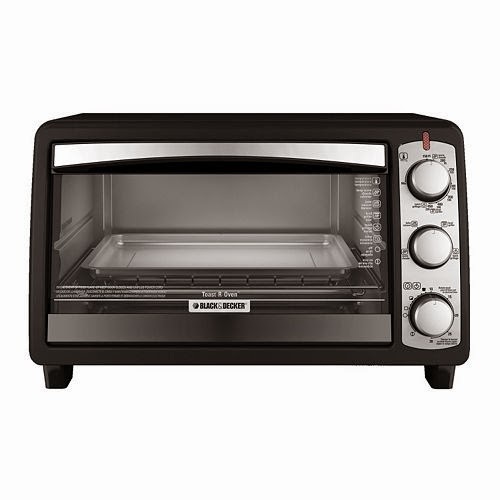 After researching the different makes and prices we settled for this Black and Decker 6 Slice Toaster Oven/Broiler. We purchased it at Kohl's for less than $50 after coupons and discounts. It's in constant use when we don't want to turn the big oven on for small portions. I particularly enjoy broiling fish fillets with this item. We use it for baking, broiling, making toast and warming up left overs. The only complaint that I have is that the lettering and temperature numbers are very small and I need to either use a magnifying glass or put my reading glasses on. I would definitely recommend this toaster oven and would buy another one if I needed to.